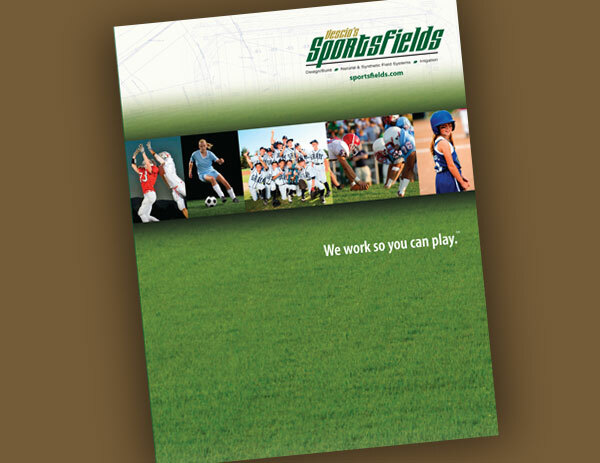 When SportsFields approached us to create a new brochure design, we focused on the end result of the work they do. “We work so you can play” became their slogan and went perfectly with the cover images of various teams having fun on their new fields. 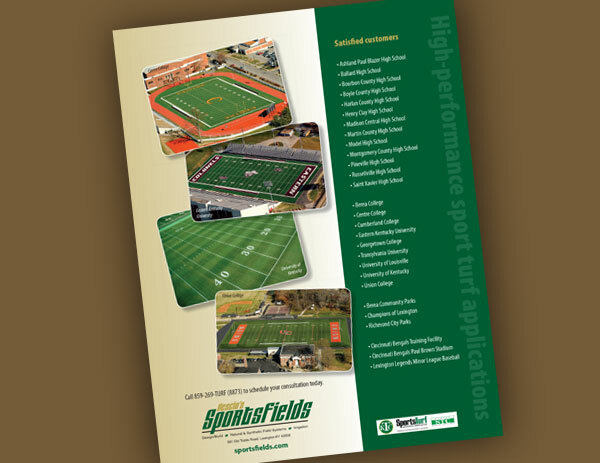 On the inside of the brochure emphasis was put on the long-term relationships SportsFields builds with customers. Information on what sets their company apart from others was listed, as well as the comprehensive services SportFields provides. 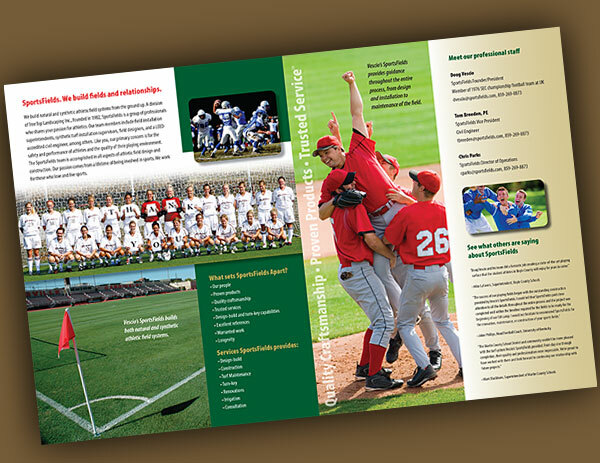 To build credibility, a list of high school, university and community fields built by SportsFields was provided on the back cover, along with photos from high-profile jobs. This brochure was mailed with introductory letters to prospective clients and handed out at trade shows.